Effective communication is the key to a successful team, and DERAWORX puts the tools to achieve that at your fingertips. Assigning tasks, setting milestones, and collaborating on solutions are all kept organized in the same project timeline, and updated in real-time across desktop and mobile. Whether you’re a small group with a handful of members, or need to keep thousands of people in the loop both on-site and remote, DERAWORX is with you every step of the way. Unlike traditional project management tools, DERAWORX integrates business records, calendars, and file sharing. You’ll never lose a document, and the centralized interface is quick and easy to learn. For the team, it’s everything they need to contribute in one place. For managers, it’s the top-down perspective that helps make sure everyone is hitting their goals. That way you can spend more time focusing on your project, and leave the organization to DERAWORX. 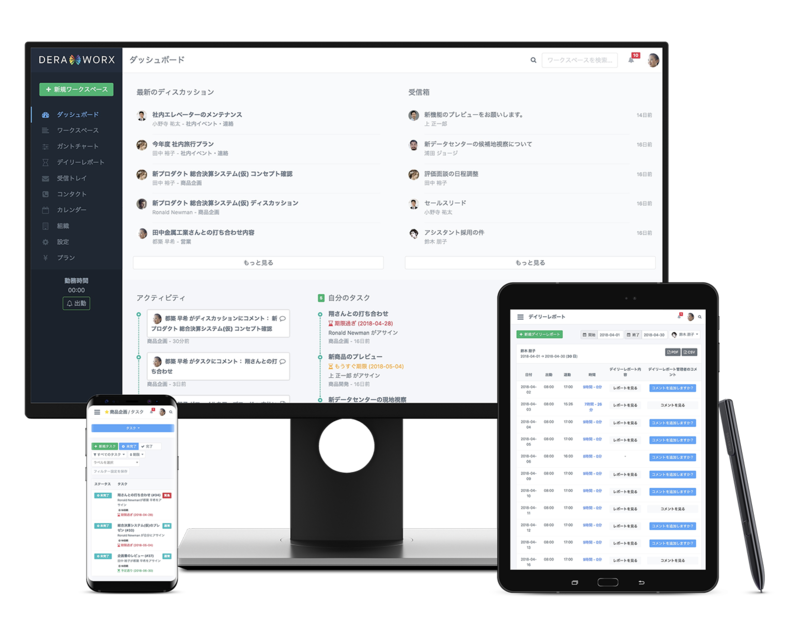 DERAWORX is available in Japanese and English.